Would you spend $3000 to $5000 for fibre to the home? Shadow Minister for Communications Malcolm Turnbull has gone on the front-foot after Labor ministers began running advertisements stating that a Coalition government National Broadband Network (NBN) will have individuals paying up to $5000 to get fibre connected to their homes. "This is just Labor misrepresenting the facts," Turnbull told Sky News. "It is a very robust technology, so there is not going to be much if any demand for residential areas." 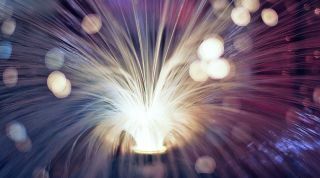 While the current policy has fibre running directly to the premises, the Coalition's NBN policy will have fibre connected to nodes located on street corners, with the old copper wires running from the node to the premises. Turnbull has said that fibre to the node (FTTN) will initially allow speeds of 25Mbps to 100Mbps. Speaking to Sky News, he said that while fibre under his policy will run to business centres, if anyone else wanted to have fibre run to their house, they could - and it won't cost $5000. "Well, we haven't set a rate for it, but I can tell you that the typical distance from one of these nodes, the average distance would be around 500 metres," he told Sky News. "And I can only give you the example from the UK, the cost of getting fibre on demand is around £1500, which I think would work out at around $3000. So it is not $5000." But while Turnbull's example suggests that "fibre on demand" will work out to around $3000, Communications Minister Anthony Albanese has jumped on the fact that Turnbull has yet set a firm rate for running fibre to the premises. "This confirms that Mr Turnbull's plan is modelled on BT in the UK, which charges up to $5000," Albanese said in a media release. "Mr Turnbull also admitted that most households would not want to take up this service. That is not surprising seeing that they would be slugged 'several thousands of dollars' to connect to superfast broadband." Albanese argued that Labor's National Broadband Network will deliver fibre to the home to 93 per cent of Australian premises with no connection cost, though Turnbull disagrees with this statement. "[Labor MP Gary Gray] has got a flyer which says connecting to Labor's NBN is free. Now that is a lie. It's not free. If you want to have a service on Labor's NBN or our NBN or anyone's telecom network, you're going to have to have an account with somebody," Turnbull told Sky News. The key factor for the Coalition's NBN policy is that it will roll out the NBN network a lot sooner than the current policy. "We can get the job done quickly by using the mix of technologies proven in comparable markets that can get the job done cost effectively," Turnbull said. This is something that iiNet chief financial officer David Buckingham would be keen on. "[Inside the business] the technology lovers love the Labor version, but the accountants like myself ... like the idea of the faster rollout and hopefully a lower cost because that's how we can differentiate. So as a CFO, I'm looking forward to the lower cost base and the faster rollout," he said, speaking to the Australian Financial Review. While politics surrounding the NBN policy continue before the 2013 election gets called, NBN rollout has hit numerous snags with reports of cost blowouts, construction delays and not meeting targets. NBN Co, the government-owned company charged with rolling out the NBN, is also still in the process of finding a new CEO after Mike Quigley resigned from the position two weeks ago.